As California fire officials continue to battle the state's deadliest blaze, a new crisis has emerged; tens of thousands of evacuees are now homeless and struggling to survive in freezing conditions with a storm expected to roll in on Wednesday. California officials estimated earlier in the week that 50,000 people had been evacuated from the fire-ravaged Paradise region, and over 1,000 are currently in sanctioned shelters. As the Sacramento Bee notes - "the situation is growing worse with each passing day." 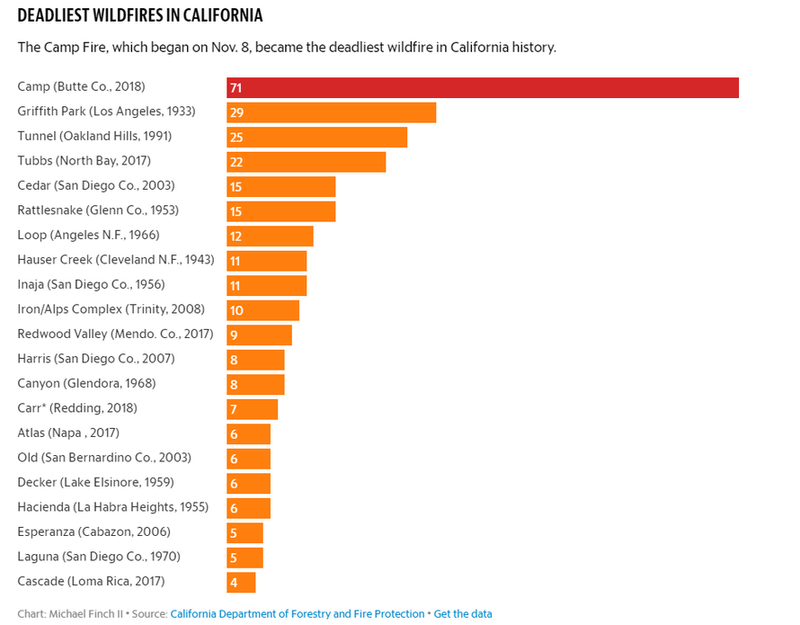 "This is on an order of magnitude beyond what we thought was one of the worst disaster recoveries we would be faced with," said Kelly Huston, deputy director of governor Jerry Brown's Office of Emergency Services. Many residents have turned to makeshift communities where sanitation and safety are top concerns. 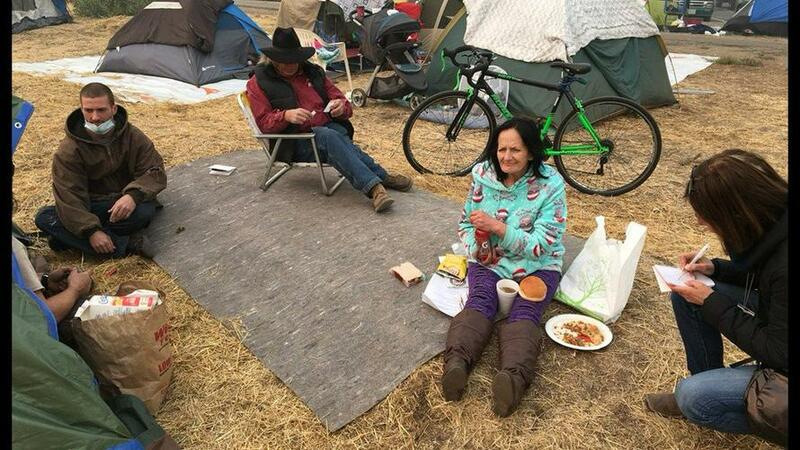 In particular, hundreds of evacuees have been squatting at a camp in a Walmart parking lot, "a ramshackle village some inhabitants call Wallywood, a sardonic mash-up of their location and reduced circumstances," reports the Bee. 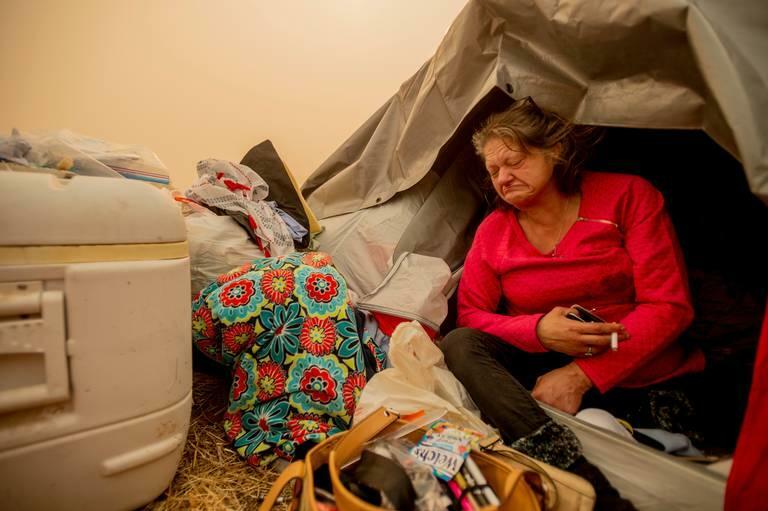 "I just want to be safe and happy and in a home," says 57-year-old Wallywood resident DeAnn Miller, who was homeless for a year before moving into a Paradise mobile home three months ago. "I need my home back," said Miller, disheveled and standing next to someone else's bucket of urine. On Friday afternoon, the Butte County Board of Supervisors held an emergency meeting, voting to open large shelters in order to consolidate Camp Fire evacuees who are currently spread throughout six shelters - mostly in churches. The problem, reports the Bee, is that the shelters are up to 30 miles apart, making it more difficult for the county to provide medical, law enforcement, food, clothing and other services. "Because they’re scattered all over, it’s so much more difficult to provide those services to them," said Butte County Supervisor Bill Connelly. "We need to be able to house them, clothe them, give them sanitation, medical care, help them with paperwork. 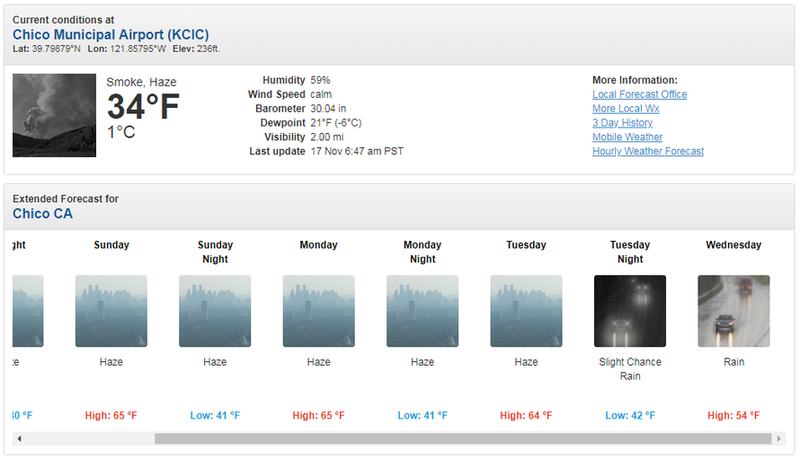 We have rain coming so our immediate need is to consolidate our evacuees in to areas we can provide that." 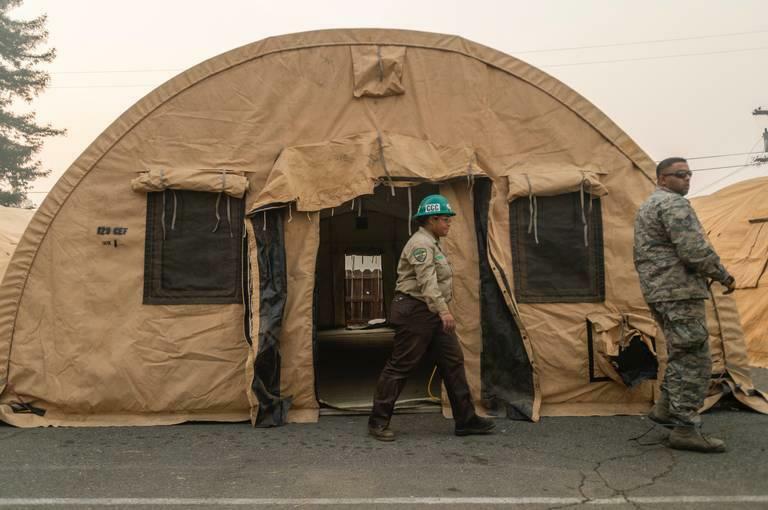 State lawmakers in Sacramento said on Friday that they will look for money to help rebuild, as well as find ways to build cheap and fast housing - such as mobile homes. The county can place 800 - 1000 households in permanent residences, said Mayer, as Butte County housing was already in a crunch before the deadly Camp Fire - with a vacancy rate less than 2% which "is considered a crisis state," added Mayer. California Senator Dianne Feinstein on Friday said that she will help to ensure that "all necessary resources are available," for the rehousing of now-homeless evacuees. "As we move into the recovery phase, it’s important to know that federal funds are available now to help wildfire victims with their immediate needs. Those affected should register with FEMA as soon as possible to begin receiving aid," Feinstein said in a statement. "Our housing dollars are scarce, but clearly our hearts go out to the fire victims," said California Assemblyman David Chiu, a San Francisco Democrat who chairs the Assembly housing committee. "I think there would be significant support for assisting with the development of housing and particularly affordable housing in those areas." Evacuees, meanwhile, say they don't want to move for the sake of moving if there isn't a long-term housing solution in place. Officials made their way through Wallywood Friday, passing out gas cards, offering transportation to people, and letting residents know of the new shelter options. Walmart spokeswoman Tiffany Wilson said the company is concerned for public welfare in a statement to The Bee. 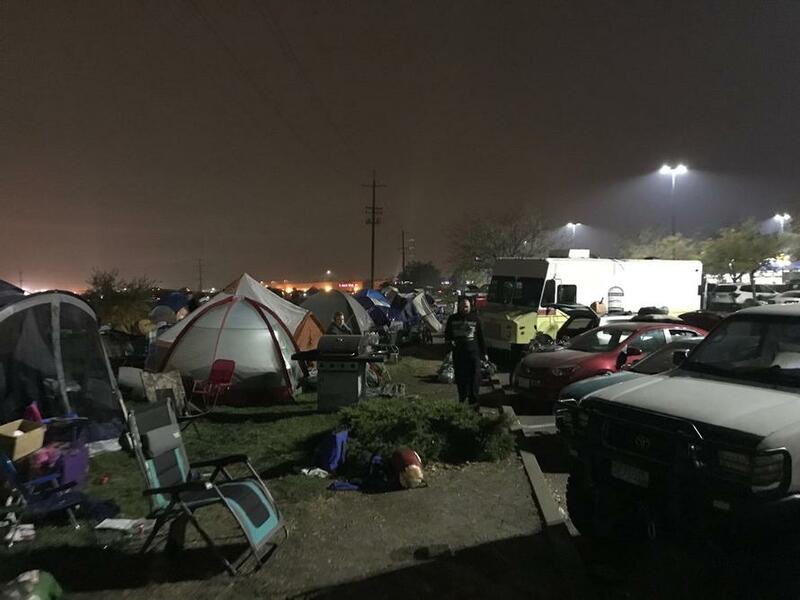 "While we are happy to have been able to provide an immediate place of escape from the wildfire, we understand that our parking lots are not a viable long-term housing solution and are working closely with the American Red Cross, the county and local organizations to best preserve the health and safety of those impacted by the Camp Fire." Tammy Mezera, 49, moved to Paradise just a few months ago to be close to her son, who lives in Magalia. She said the initial shock of of the fire has warn off, and now she wants to now whether officials will help her get a permanent place to live.